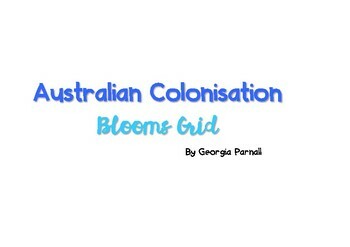 This Blooms and Gardners Grid is based on the Australian Colonisation. This product is for Years 3-6 and is designed for literacy rotations, inquiry lessons, group work, individual work, fast finishing and extension work. 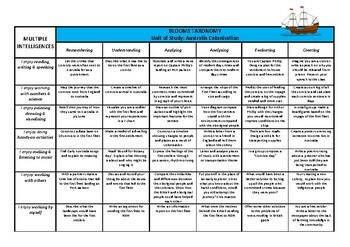 Just print a copy for each student to highlight as they complete each task.